When I was a young child I asked my parents on numerous occasions, “can I have…this or that or the other…?” Most children do. There were times the answer was yes and other times the answer was no, and other times the answer was NOT YET. I learnt that there were three possible outcomes to a request, and so, I started to ask for clarification…”is it a yes, a no, or a not yet?” We all used to ask my parents to have another baby. We all decided we wanted a younger brother. Mum and Dad confirmed it was a no, they said seven was enough! Mum and Dad did an amazing job at providing for seven children, all with their own wish-list. Dad was working as a window-cleaner, and once my youngest sister had started school, Mum went back to work as a nurse. I don’t remember being bored. There was always something going on in our house. My parents had to be thrifty and took advantage of any activities that were free. 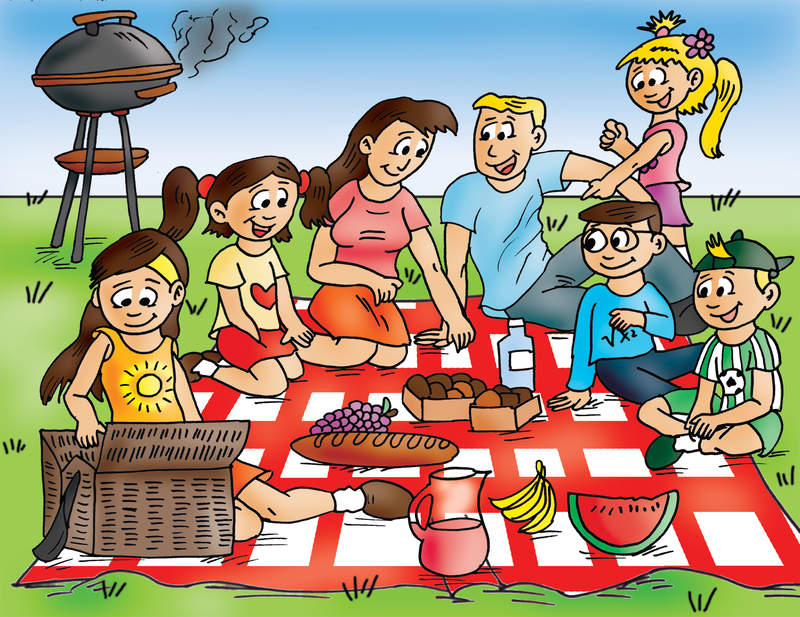 There were many occasions when we were outside as a family playing together, and often meeting up with other families. We might go to the park and play sports, or go on the local “trim-trail”. We often went to the beach. We toured the local countryside on many bike-rides. Mum prepared many pic-nics and used to take us to areas where we could run around or climb trees, while she studied for her Masters Degree in Education. On rainy days we might be tasked with dressing up and acting out a play. 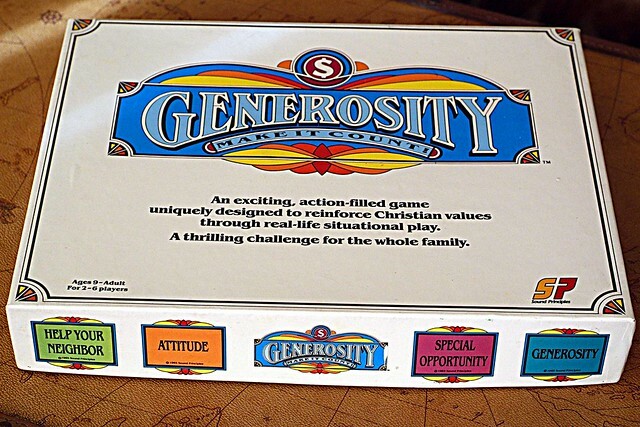 Or we would do a huge jigsaw together as a family, or play board games like “Generosity”, the winner of which was the person who gave away all of his belongings first. This essentially was the reverse of Monopoly (only my sisters and I would play it like Monopoly). There were many other things we enjoyed together as a family and I feel extremely privileged to have all those wonderful memories – it does not matter how much money is in my purse – I know I have a wealth that sadly, money cannot buy, and many people would truly long for. Mum and Dad may have struggled at times to make ends meet but they provided plenty of things for us. We had a never ending supply of books that Dad picked up in charity shops. Mum saved some coupons from cereal boxes and three dolls appeared for me and my two younger sisters which we were thrilled by. We all had swimming lessons and all ended up swimming competitively and winning races for our county club. We all had bikes – they were all second-hand and then hand-me-down from the oldest of my siblings to the youngest, but Dad did a great job of maintaining them. What more could we possibly need? Some of us has special interests. One of my oldest sisters had tap dancing lessons. Another of my older sisters had tennis lessons. Another had an interest in photography and Dad bought her a camera. My brother and one of my younger sisters loves art, so Dad bought art materials for them. I loved music so he bought me a radio and paid for me to have singing lessons. Milly hardly ever asked for anything. She has always been the gentle and generous one, entirely unselfish. But there was one thing, she really liked the idea of joining the gym, so Dad paid for her membership and took her along with him. Dad loved her company. So although sometimes we thought about what we didn’t have and our friends did, like Barbie dolls and a Saga#54 and all sorts of other toys and games we were envious of…I can see my parents provided abundantly in every way for us, but especially the most important ways – they gave us their time. Richly! But there is one thing I asked for very early on in life and I reckon a lot of you will have done the same! Boy oh boy oh boy – did I want a horse! It was hard not to with the television series “Black Beauty” instilling a love of horses at a very young age. Doesn’t it make you feel free? – the thought of galloping like that across fields! I remember having a conversation with my parents about it. Mum was asking me to think about everything a horse needs. She said you need to have a field for a horse and a stable. She explained that we would need to buy food for the horse and for other things like vet’s bills. She said if I wanted to be able to ride a horse, it would mean buying expensive equipment like a saddle and other livery. My little face must have revealed the scale of my disappointment on the realization that it was completely beyond the means of my parents for me to ever even look forward to having a horse. Dad was cut to the core! His words to console me was that every father would love for his little girl to have a horse. He asked me if we should trade in the rest of my six siblings so that they could buy a horse? I probably pondered about whether that was a possibility until I saw Dadda laughing. I asked my parents, “so it is a definite no?” Mum and Dad smiled and said that they would rather it was a NOT YET. It is still at the very top of my dream list. The list of NOT YETs that I have never forgotten. Oh they are top! Absolutely utterly wonderful…wouldn’t trade them in for anything, not even for a horse! This really taps into something I know in my experience too, the Not Yets are multiple. I must admit I have lost interest in most of the NOT YETs I asked for (which is partly what I think my parents realized would happen) but there are a few NOT YETs that I hold very dear to my heart…and hopefully one day….